Clerk Maxwell discovered the nature of the electromagnetic spectrum. His work paved the way for much that we take for granted today, including radio, television, mobile phones, radar, and most important – the medical application of X-rays and magnetic resonance imaging (MRI). He was Scotland’s greatest scientist and one of the most outstanding physicists the world has ever known. Many rate his achievements alongside those of Einstein and Newton. He was born on 13 June 1831 at 14 India Street, Edinburgh and educated at The Edinburgh Academy and Edinburgh University before graduating in the Mathematical Tripos at Cambridge. Although he spent much of his early life in Edinburgh, it was Glenlair, the family estate in Galloway, to which he returned at every opportunity throughout his life. Soon after graduating from Cambridge, he was appointed to the chair of natural philosophy at Marischal College in Aberdeen, where he met and married the principal’s daughter, Katherine Dewar. He continued to develop his early interest in the nature of light, and at this time predicted the composition of Saturn’s Rings, a major feat of mathematical physics. On the merger of Marischal and Kings Colleges to form Aberdeen University, Clerk Maxwell accepted the chair of physics and astronomy at Kings College London. While at King’s College, Clerk Maxwell made ‘one of the greatest leaps ever made in human thought’ (Prof R V Jones, author of ‘Most Secret War’) by taking the electrical field theory into the precise form which we use today, and predicting the electromagnetic spectrum. He discovered the nature of this, from very short wavelength gamma rays to long wavelength radio waves. Maxwell showed that visible and infra-red light are actually electromagnetic waves and pointed to the existence of other waves. It was these discoveries which led to the development of modern telecommunications, the world wide web, radio and television. Maxwell’s other work had applications for chemical and civil engineering, the gas industry, optics and colour photography. Of enormous relevance to cancer research today, Maxwell’s work has also led to the medical application of X-rays and magnetic resonance imaging (MRI) in diagnosis and treatment. 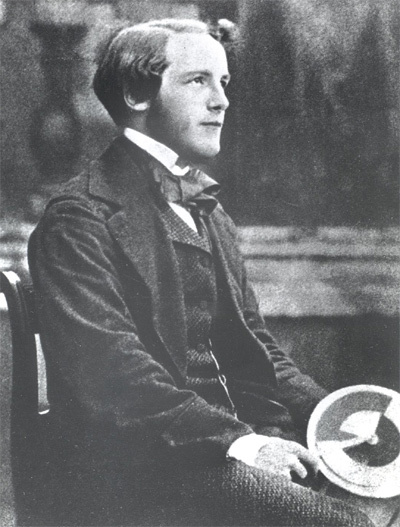 Clerk Maxwell died of stomach cancer in 1879 at the relatively young age of 48 years.